Tall arrangement of seasonal white and green flowers in a ceramic vase. 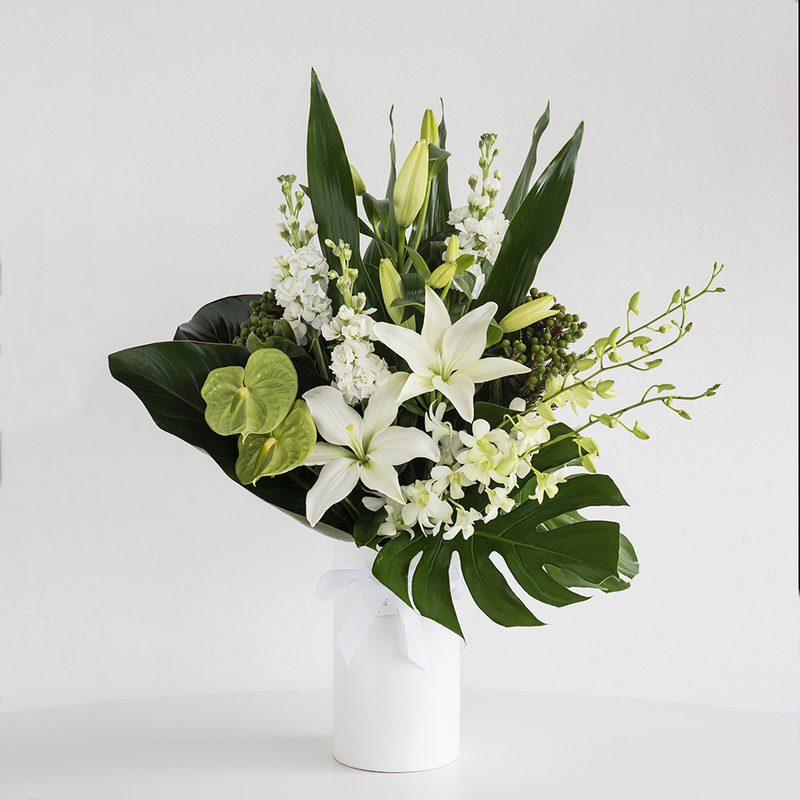 With tropical leaves backing the arrangement to show off the beautiful flowers. Suitable for a sympathy arrangement to be delivered to a house or the most common use of this arrangement is at the front of funeral service, with one or two arrangements delivered direct to a funeral house. Should you wish to have specific flowers or arrangements included please give us a call and we can discuss this.